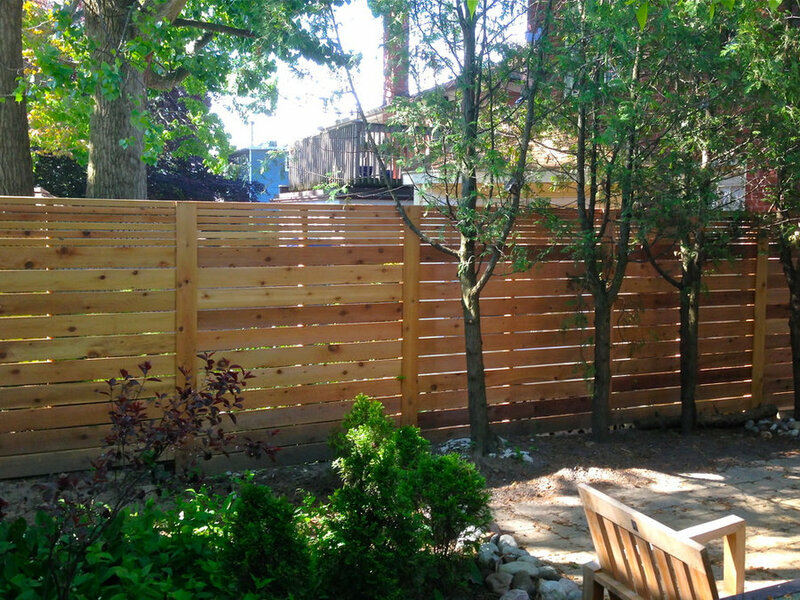 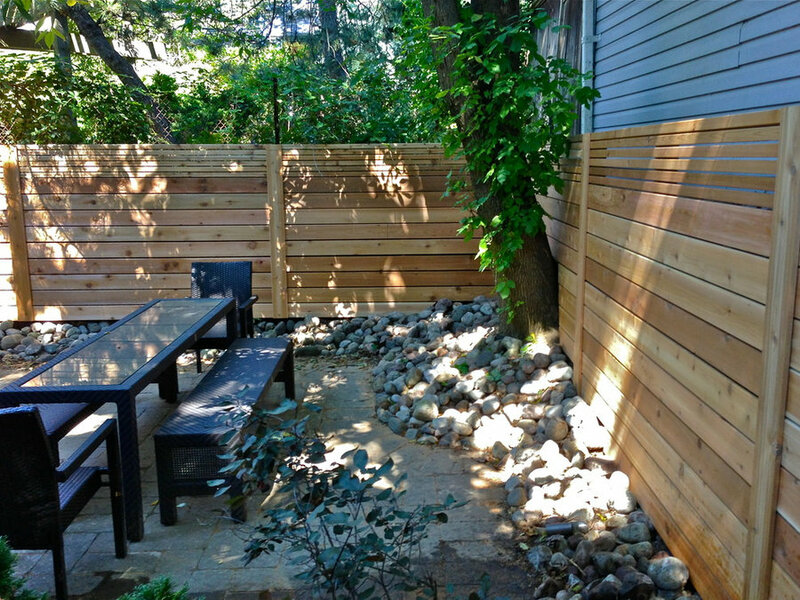 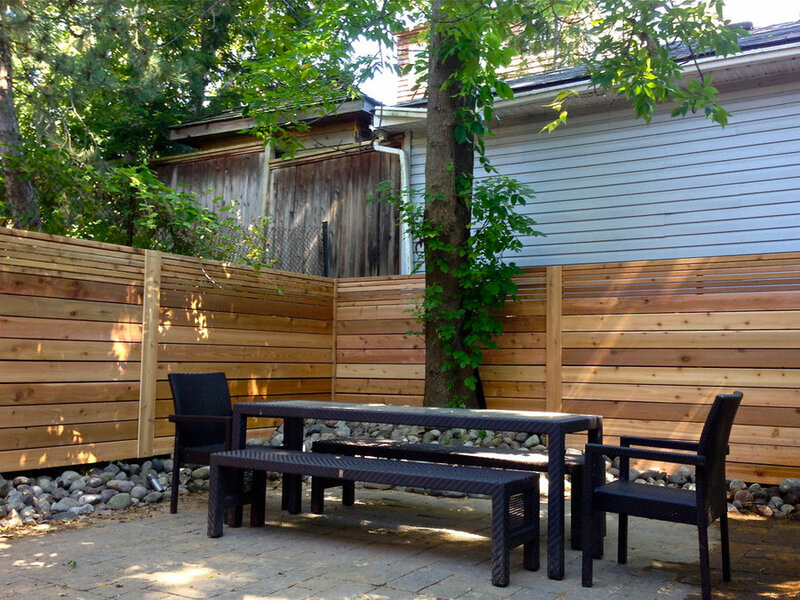 This shady backyard in the Toronto Beaches had been previously landscaped, but was surrounded by either unsightly backyards, ragged hedges, or cinder block retaining walls. 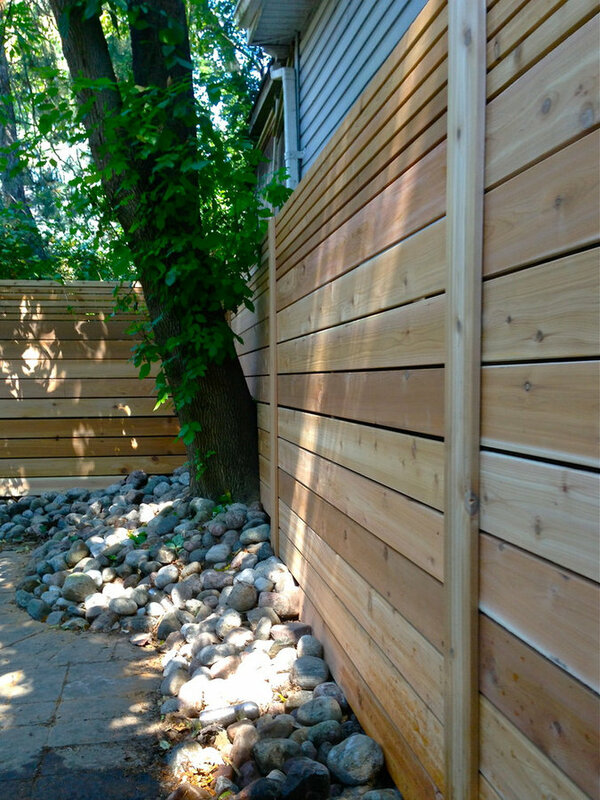 The warmth of the red cedar made a remarkable difference in the overall feel of the space, giving it new life. 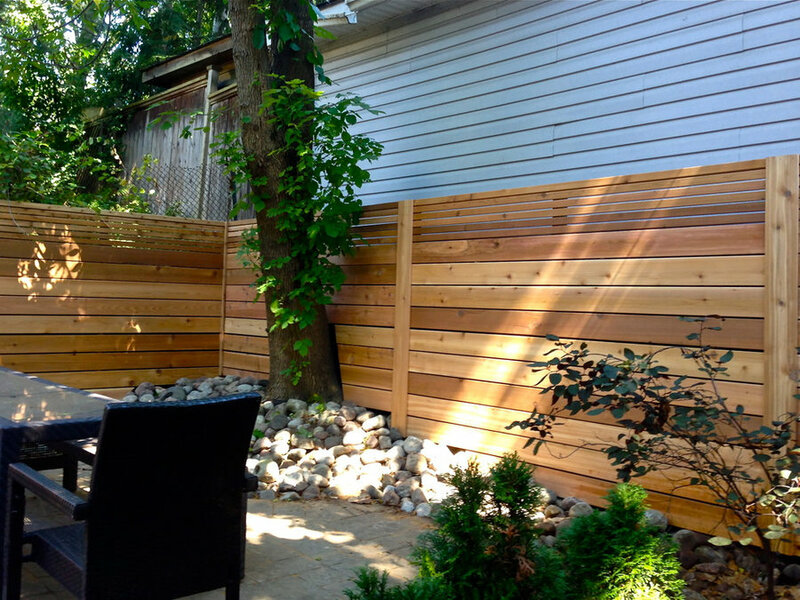 A transformation.